The government may soon allow your ISP to sell your browsing data. Here's how to fight back. It's official: Congress has sold you out to Internet service providers, passing a bill that dismantles Internet privacy rules and allows ISPs to sell your web history and other personal information without your permission. Assuming President Trump signs the bill into law, it means anyone concerned about privacy will have to protect themselves against over zealous data collection from their ISP. The Electronic Frontier Foundation’s HTTPS Everywhere browser extension is one of the first things you should install. 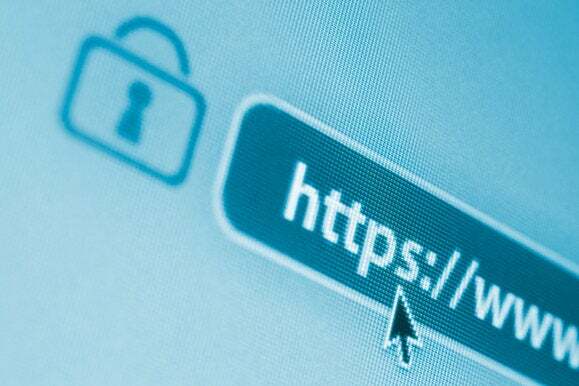 This extension requires that all website connections to your browser occur using SSL/TLS encryption. That means the content of what you’re viewing will be protected from passive collection by your ISP. The only time the extension won’t force HTTPS is when the site you’re connecting to doesn’t support the protocol. It’s a great little extension that starts working as soon as you install it. What it doesn’t do, however, is stop your ISP from seeing which sites you visit. Only the contents of your communication are protected. So your ISP will know you visited YouTube, but not what you watched while you were there, or the specific pages you visited. HTTPS Everywhere is available for Firefox (desktop and Android), Chrome, and Opera. Your next step is to subscribe to a paid virtual private network service—not a free one that collects your data and sells it to third parties for analytics, or uses ads to support its free service, because that would negate the entire point of all this. You want a VPN that you pay to keep your data private. This should cost somewhere around $40 to $60 per year. A VPN is like an encrypted tunnel between you and the Internet. You connect directly to your VPN (a connection your ISP will see) and then all Internet browsing goes through the VPN’s servers and blocks third parties from snooping. Once you’ve picked and configured a VPN, set it to start up automatically and funnel all your Internet traffic through there. Choosing a VPN is a bit of a tricky business since you want a provider that collects and stores a minimum amount of data about your browsing. Freedome VPN pledges not to log your traffic and is run by F-Secure, an established and reputable name in Internet security. Some VPN providers offer helpful extra features, such as an Internet kill switch that immediately shuts off your PC’s Internet access when your VPN gets disconnected. You also want your VPN to protect against DNS leaks, which is a problem we’ll get to next. The Domain Name System is how your computer translates a human readable website name, such as NYTimes.com, into a machine-friendly numerical Internet Protocol address. It’s like the telephone book of the Internet. The problem is that your PC is usually configured to use your ISP’s DNS, which means your ISP sees all your browser requests. VPNs typically configure your PC to use their DNS, and there is usually a DNS leak protection feature that makes sure your PC doesn’t ignore the VPN and use your default DNS settings. Nevertheless, to be doubly sure you’re not using your ISP’s DNS, it’s a good idea to set your PC to use a third-party DNS provider such as OpenDNS. We have a tutorial from 2011 on how to change your DNS settings in Windows 7. It works pretty much the same way in Windows 10. Now you’re off to a good start for protecting your data from a snooping ISP. It’s not fool-proof, but you’ve taken a number of important steps. Once you’re set up, consult IPLeak.net and DNS Leak Test (use the extended test for the latter) to make sure you’re not revealing any data that you don’t want to reveal. Now all you have to do is hope your ISP doesn’t block or throttle your traffic whenever you’re using that paid VPN. Editor's note: This article was update to reflect the bill passing both Congressional houses.